He clamped a sweaty palm over his sister's quivering lips. The yellow light flickered perilously as the coin dragged her finger over letters, one after another. The candle collapsed into a blob of melted wax as a voice sniggered, "Welcome." Chilling. I hope the duo made it out alive and didn't collapse like the melted candle. 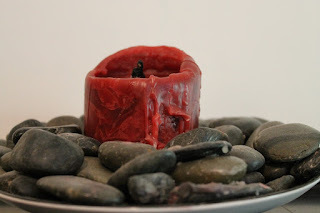 I loved the imagery of the candle collapsing under the weight of hot was. I got a bit turned around here: perilously as the coin dragged her finger over letters, one after another <-- it reads as if an actual coin has fingers. I meant for the coin to have the power to move the finger, but I totally get your point. Thanks for pointing it out. The image with the coin confused me, too. Thanks for clarifying. Oh! How exciting. You've set the mood beautifully by using siblings as your characters, and the tight pacing kept the tension throughout. Always look forward to reading about sibling adventures! How delightfully dark this is. I think having siblings helped tell this story so well. Ooooo, that was so delightfully creepy!